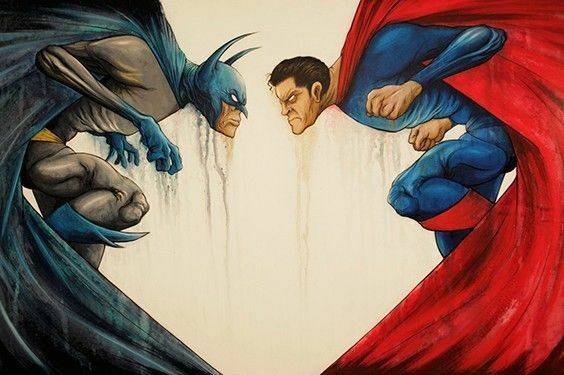 Batman vs. Superman director Zach Snyder prompted artists Dave Correia, Alex Pardee, and Jonathan Wayshak to interpret the iconic comic book characters and the results can be seen below. You can now bid on the pieces by clicking here and all proceeds from the auctions go to the “We Can Be Heroes” campaign to fight the hunger crisis in Ethiopia, Somalia and Kenya. 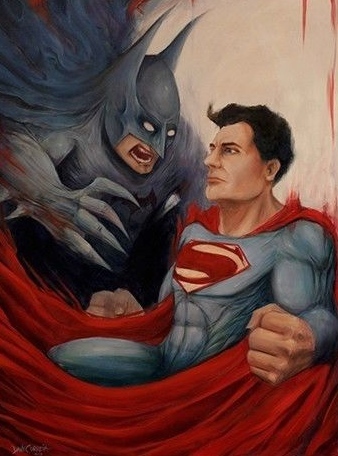 Also during the Man of Steel Fan Event, Snyder issued a few teases for the highly-anticipated movie. The first was this passing comment “Lex loves calling him an alien.” Could this be an indication of Luthor’s involvement in the upcoming film or was it a general character statement? In addition, Snyder teased that we may see how his “taking care of” General Zod in Man of Steel has affected Superman in the upcoming sequel. 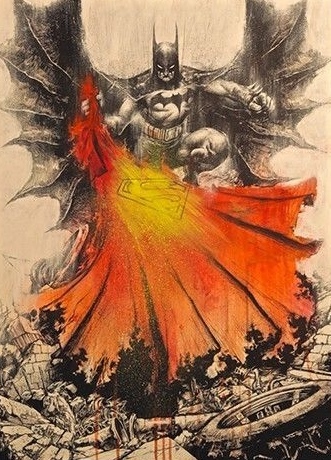 Snyder also mentioned he’d love for composer Hans Zimmer to return for the film, especially given his famous score from Christopher Nolan’s “Dark Knight Trilogy,” saying: “I think it would be awesome if Hans did the movie because he has that challenge.” When asked previously about his involvement, Zimmer said: “The thought right now is that no, I don’t want to go and take what I did with Chris and just plonk it into another movie.” Remember, he had a change of heart regarding scoring Man of Steel as well. It’s still possible he could return. Batman vs. Superman will feature the return of Henry Cavill as Superman, facing off against Ben Affleck as Bruce Wayne/Batman. Also starring Amy Adams, Diane Lane and Laurence Fishburne, Batman vs. Superman hits theaters on July 17, 2015.